A Gender Variance Who's Who: Anna-Varney Cantodea (?1952- ) musician. She took the name Varney from the classic horror story, Varney the Vampire. 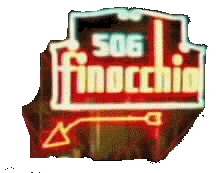 A birth date of 1952 is assumed from the booklet cover of Les Fleurs du Mal, which contains the phrase: "SOPOR: Sedating the heart since 1952”. She grew up in Frankfurt, and has said that she spent nearly three decades in extreme depression, despair and loneliness. She was suicidal from age 12, has had encounters with cancer and blindness. She is very religious and is mainly devoted to Saturn/Cronus, and less so to Morpheus, Uranus and Charon. Many of her albums contain astrological imagery. She has also been associated with the Thelemite tradition, and with occultist Raven Digitalis. Sometimes Sopor Aeternus is considered a Darkwave project. 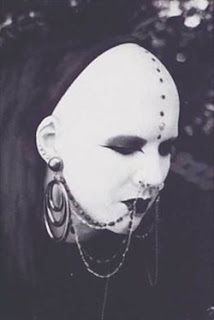 She started recording under the name Sopor Aeternus & the Ensemble of Shadows in 1989 with the help of a person known as Holger whom she met in a Goth club in Frankfurt, and used to regain the ability to connect to society. They recorded three cassettes together. In 1997 she started using the name Anna-Varney Cantodea. She has referred to herself as two-spirited, and as a warrior of the neutral zone. It is assumed that she is a trans woman, particularly as the images released with her albums have become more feminine over time. “Sopor Aeternus & the Ensemble of Shadows”. Wikipedia, the free encyclopedia. en.wikipedia.org/wiki/Sopor_Aeternus_%26_the_Ensemble_of_Shadows. Love Anna-Varney! Probably the greatest musician to come out of Germany for some time. I really love Anna-Varney! She gives me reason to survive in this life! I just thinking why she is so "unfamous"? Why everybody doesn't like about her? Weird world. Its 2012 and i'm only finding out she exists now, such a pity. A truly amazing and inspirational artist, best music I have heard in a long time. THANK YOU SO MUCH. I've been a fan of hers for 12 years. I didn't know she identified as a Two-spirit which makes me love her more as I identify as the same. Total win on this.